Q: What do you get when a dunk tank, cotton candy machine, and obstacle course are combined on the Grady lawn? A: Wet NMI faculty and happy students! 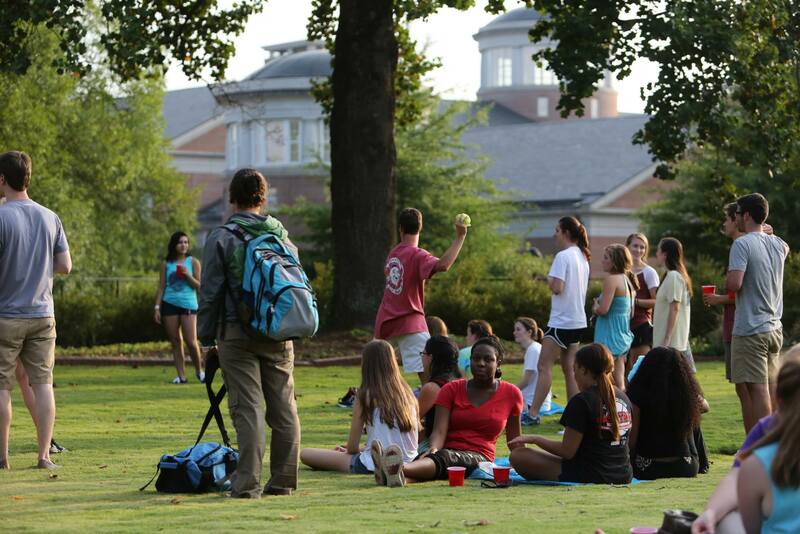 NMI faculty and students came together the first week of classes for the first ever NMI Comeback Carnival. The carnival allowed students to learn about the NMI, the certificate, the classes, and the crazy people who run the place. We ate, we laughed, we learned, and we welcomed fabulous new students to the program. Why would we put ourselves through this? The NMI was charged with adding four classes and 80 new students this year. That is tremendous growth that the NMI has never before been faced with in such little time. We are proud to say that we met the challenge! Backed by hard work and tremendous support, we have grown to include just over 510 students this semester! That is an impressive record! The word is spreading, and the NMI has great things ahead for this year.